SHARJAH, (UrduPoint / Pakistan Point News / WAM - 17th Apr, 2019) H.H. 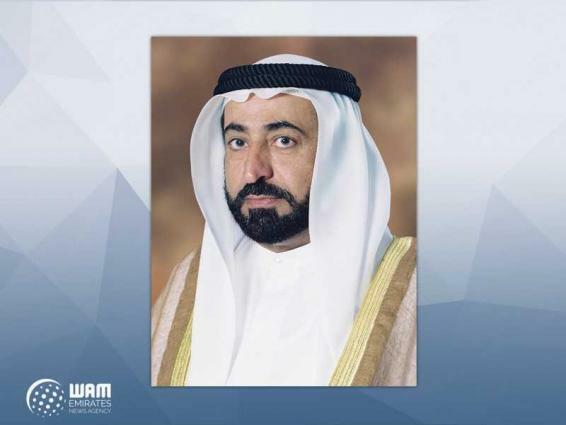 Dr. Sheikh Sultan bin Muhammad Al Qasimi, Supreme Council Member and Ruler of Sharjah, has allocated AED2.5 million to enrich Sharjah's libraries with the latest publications. The announcement came following the inauguration of the 11th Sharjah Children's Reading Festival, SCRF 2019, at the Sharjah Expo Centre. The funds will be used to purchase the latest publications from participating publishing house at the reading festival. There are 167 publishers from 18 countries participating in SCRF 2019, themed 'Explore Knowledge'. Organised by the Sharjah Book Authority, SBA, the festival will see appearances from 198 guests from 56 countries, who will be leading 2,546 cultural activities from 17th - 27th April. The activities taking place at the festive are designed to make reading more appealing for children and young adults. His Highness toured SCRF’s exhibition halls and the stands of a number of Emirati, Arab and international publishers, where he was briefed with their printed and digital books, and other learning materials. He also visited the pavilions of several government cultural and educational institutions, where he listened to presentations by organisers about their services, products and events lined up during the literary festival. The Sharjah Children’s Reading Festival seeks to foster reading as a robust habit in children and young adults, and provides artists and illustrators a unique platform to showcase their works.